In his Rihla/Risala (travel narrative, account or journal), Ibn Fadlan, who in the tenth century, accompanied a mission from the Caliph al-Muktadir to the Volga Bulgars, describes his experiences and the people and places he visited; the Khazzars, and the manners and customs of the Rus. 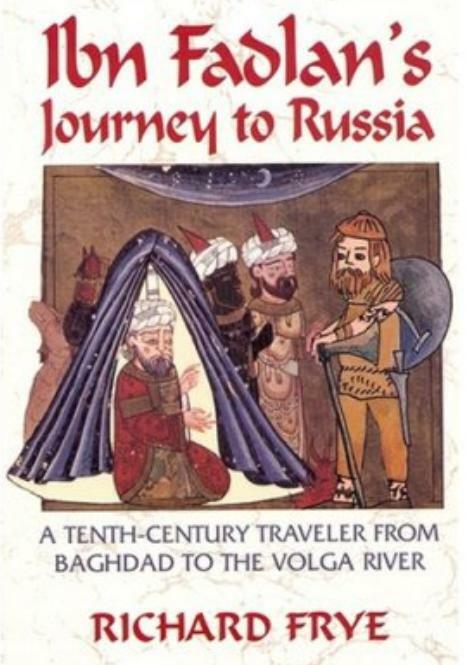 In his Rihla (travel narrative), Ibn Fadlan, who in the tenth century, accompanied a mission from the Caliph al-Muktadir to the Volga Bulgars, describes his experiences and the people and places he visited; the Khazzars, and the manners and customs of the Rus. 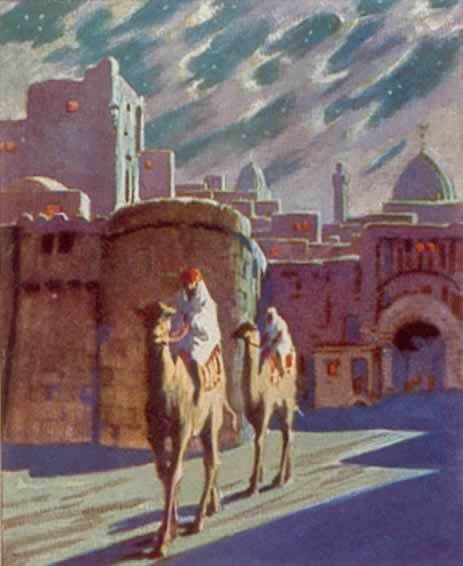 His particular role on that journey was to read out the letter from the Caliph to the king, to present him with gifts. 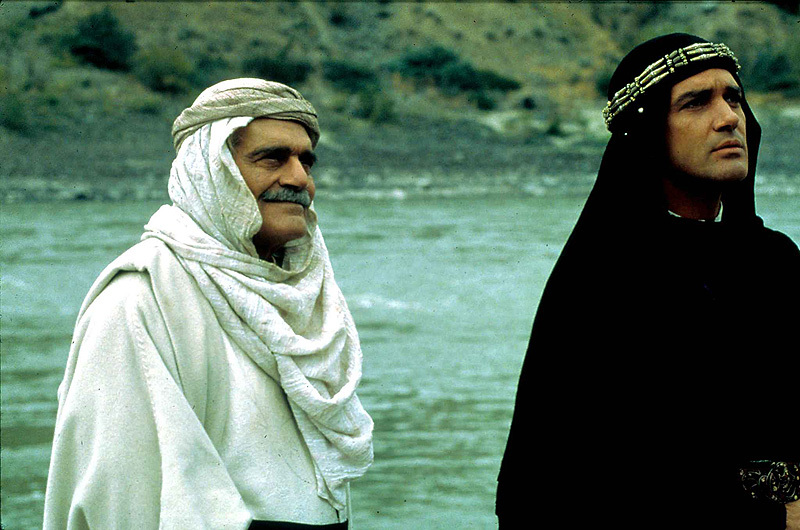 The Embassy had left Baghdad in June 921. 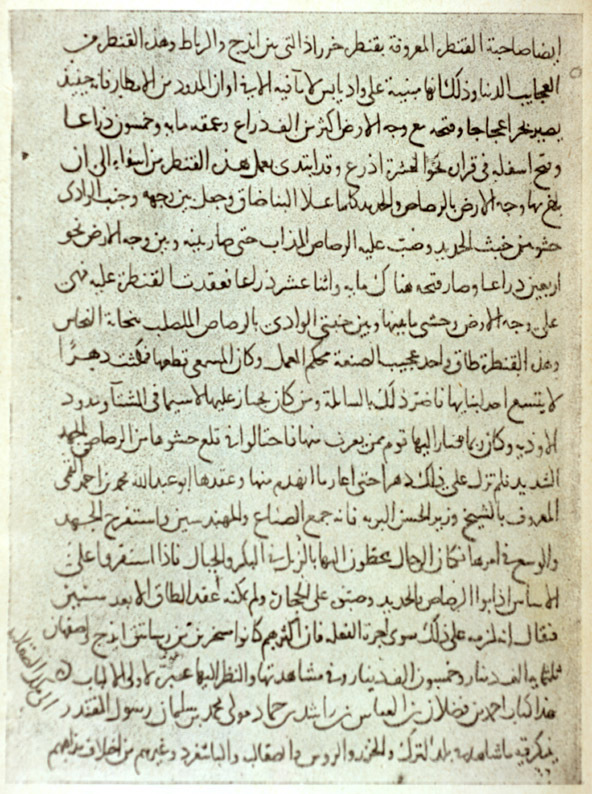 The journey and the description of the various tribes encountered by the embassy are vividly described by Ibn Fadlan. 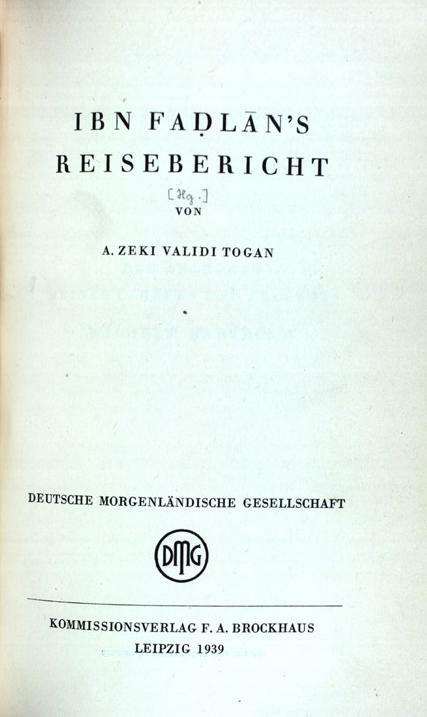 This is not just the earliest account in Arabic of the Volga region, it also gives the topography of the surrounding region, up to approximately 60 degree North latitude; it is also an important source of anthropology on various populations of the region. Ibn Fadlan describes very extensively the populations that live in the region, their trades, manners, clothing, diets, living, and also their customs, such as leaving a sick man alone in the tent with bread and water only, approached by none, waiting for him to either die or recover on his own. He also describes religious and other practices, such as the burning of a dead lord on a boat, and alongside him his female slaves. One thing that seemed to startle Ibn Fadlan, though, was the extreme shortness of the night in those regions. He was waiting for the call for late night prayers, talking to a tailor from Baghdad for just half an hour, when he heard the call for prayers, and came out to find that it was morning. And the night, he discovered, was so light that a man could be recognised by another at a distance of an arrow throw. Figure 3. Front covers of four recent Arabic publications of Ibn Fadhlan's narration of his journey to Russia. Tentative Global Timeline of Contacts between the World of Islam and Western Europe: 7th -20th Cent. For a long account of Ibn Fadlan’s travel to the Volga Bulgars, see M. Canard: Les Relations de voyage d’Ibn Fadlan chez les Bulgares de la Volga; In Annales de l’Institut d’Etudes Orientales; Vol 16; 1958; pp. 41-146; for extensive extracts on such travels see S.M. Ahmad: A History of Arab-Islamic geography; Amman; Albany; 1995 and for a summary see M. Dunlop: Arab Civilisation, to AD 1500, Longman, Librarie du Liban, 1971, pp. 169-70. M. Canard: Ibn Fadlan, in Encyclopaedia of Islam; New edition, vol 3; Brill; Leiden, 1971; - 759. S. Al-Dhhan: Risalat Ibn Fadlan; Dar Sadir; Beirut; 1993. S.M. Ahmad: A History, op cit, p. 112.